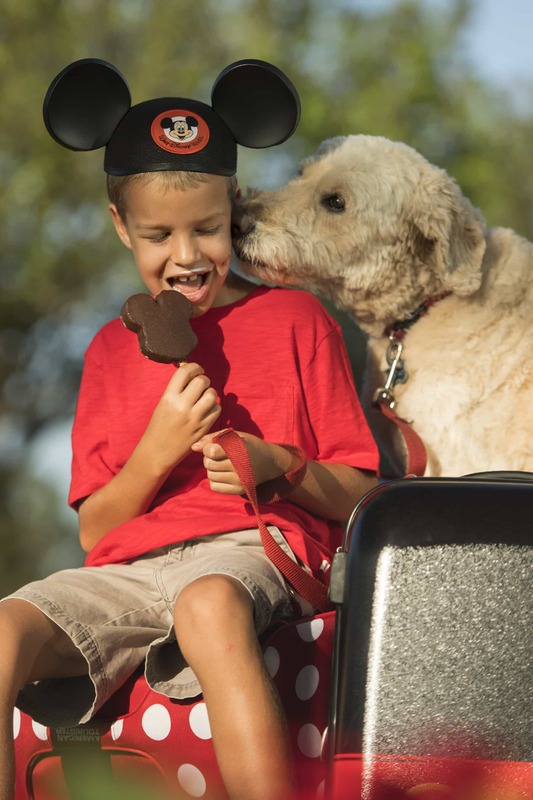 Starting Oct. 15, four Walt Disney World hotels will allow guests to bring dogs with them on vacation. If you can’t imagine going on a Disney vacation without the furry, four-legged members of your family, you’ll be happy to know that select Walt Disney World hotels will welcome dogs into their guest rooms starting on Oct. 15. 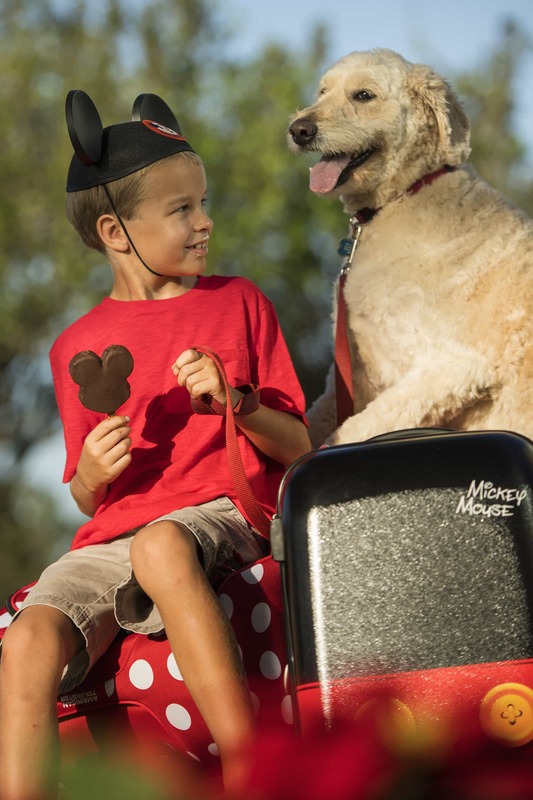 Beginning Sunday, Oct. 15, Walt Disney World Resort guests will be able to bring their canine companions to four resort hotels: Disney’s Yacht Club Resort, Disney’s Port Orleans Resort – Riverside, Disney’s Art of Animation Resort, and the cabins and campgrounds at Disney’s Fort Wilderness Resort & Campground. The new service permits up to two dogs per guest room, for a fee. Each resort offers easy access to outdoor pet exercise areas and green spaces with pet relief areas. There will be a $50 per night fee for guests with dogs staying at Disney’s Art of Animation Resort, Disney’s Port Orleans Riverside Resort, and Cabins at Disney’s Ft. Wilderness Resort $50/night. Guests with dogs will pay $75 per night at Disney’s Yacht Club Resort. At check-in, guests with dogs will receive Pluto’s Welcome Kit, which includes a mat, bowls, a pet ID tag, courtesy plastic disposable bags, puppy pads, dog walking maps, and a Pluto “Do Not Disturb” door hanger indicating to hotel staff that a pet is in the room. Daycare and other pet services are offered nearby at Best Friends, an on-property full-service pet care facility (fees apply). Pet merchandise will also be available in the near future at the four select hotels. • Only dogs will be allowed in Guest rooms, and there is a limit of two dogs per Guest room. • Guests are responsible for the proper care, behavior and waste maintenance of their dogs throughout the Resort. • Dogs must be well-behaved and are not allowed on furniture in public areas. • Dogs should be supervised at all times while staying on Resort property and should not be left unattended in your Guest room for more than 7 hours. • Dogs should remain silent if left unattended in your Guest room. If noise is heard, you will be called to address the noise within 30 minutes. • Please display the provided “Do Not Disturb” door hanger outside your room to alert Cast Members that dogs are present. • Housekeeping service in Guest rooms with dogs is only available when Guests are present. Please dial the Housekeeping button on your in-room telephone to schedule a cleaning time at your convenience. • Please leash or restrain your dogs at all times while in public spaces on Resort property. • Only licensed service animals are allowed in Food & Beverage locations, the Club Lounge, Pool Areas, Fitness Centers and other public Guest areas. • Guests with dogs are allowed to use some Resort transportation services, including Disney’s Magical Express and Minnie Van. In order to use Resort transportation, dogs must remain in pet carriers for the duration of transit. All other Resort transportation and public transportation, including Walt Disney World Monorails and Friendship Boats, are available to Guests with licensed service animals only. • Dogs are not permitted in Theme Parks and Disney Springs. Only licensed service animals are allowed in these Guest areas. • Up-to-date vaccination records must be available upon request. For more information about the new dog-friendly trial program, including other restrictions and policies, guests may contact 407 W-DISNEY. DVC Members should contact Member Services at 800-800-9800.